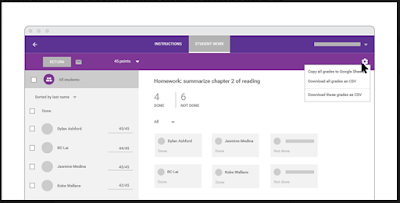 A few key enhancements, with regard to grading, were released to Google Classroom today. It is now easier to update the grade point scale and navigate while entering grades. You can also sort by name on the grading page and export all grades to Google Sheets. The Sheets export includes additional features such as overall class average and student averages. Check out the official blog post here.